A lush headland that's part of the forested Daintree Region, Cape Tribulation was so named by Lieutenant--later Captain--Cook in 1770, when his ship ran aground in the area. A center of wildlife preservation, the cape possesses a small number of resorts, lodges, and hostels, making it a popular destination for visitors pursuing more nature-focused travel and recreation. 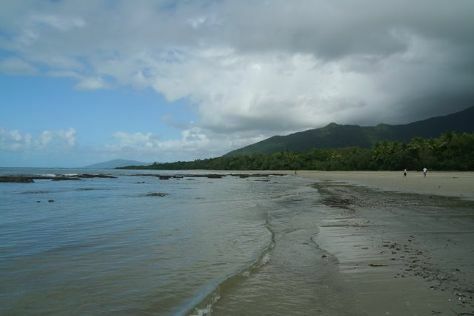 Cape Tribulation is in Daintree Region. When using our Australia trip planner to make an itinerary online, Cape Tribulation holidays come together around your tastes, interests, and requirements, with us taking care of the logistics.